An inquiry has been launched into how a Northumberland RNLI lifeboat capsized in heavy seas. 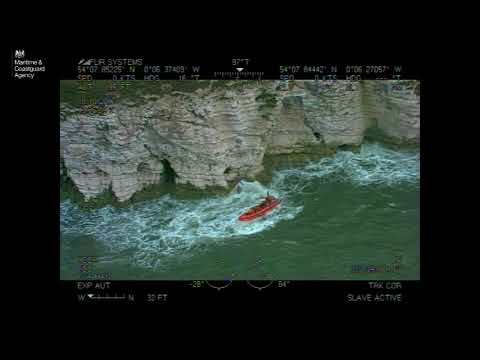 Three RNLI lifeboatmen had to be rescued after Craster inshore lifeboat capsized washing the boat and three crew onto a rocky shore. Lifeboats from the neighbouring RNLI station at Seahouses were called out, but the Craster crew and boat had been washed onto the rocky shore by the time they arrived. All three were airlifted by an RAF rescue helicopter directly to Wansbeck Hospital, but were released later that day. The Craster boat was carried by volunteers across the rocky shore to return it to its boathouse.